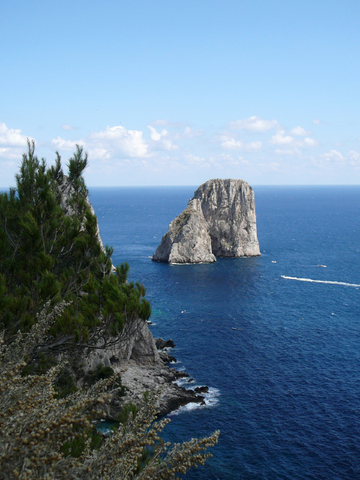 After your jet boat ride of approximately 50 minutes you will arrive in Capri. Where you will then take a ride in the mini bus to the well-known worldwide main square of Capri's main village called the 'Piazzeta'. From here you can go on a fantastic guided walking tour through the main streets to the famous Ceasar Augustus Gardens where you will enjoy the breathtaking view of the little marina and the faraglioni rocks at the southern side of the island. After your walking tour, there will be free time for lunch, strolling and shopping. Finally, you will return with the guide for a ride back to Big Marina to board your jet boat to go back to your cruise ship. Don't forget your camera. Please note tickets may be purchased for the Blue Grotto separately.